In animals and birds male are more beautiful and handsome than female but few are exception. 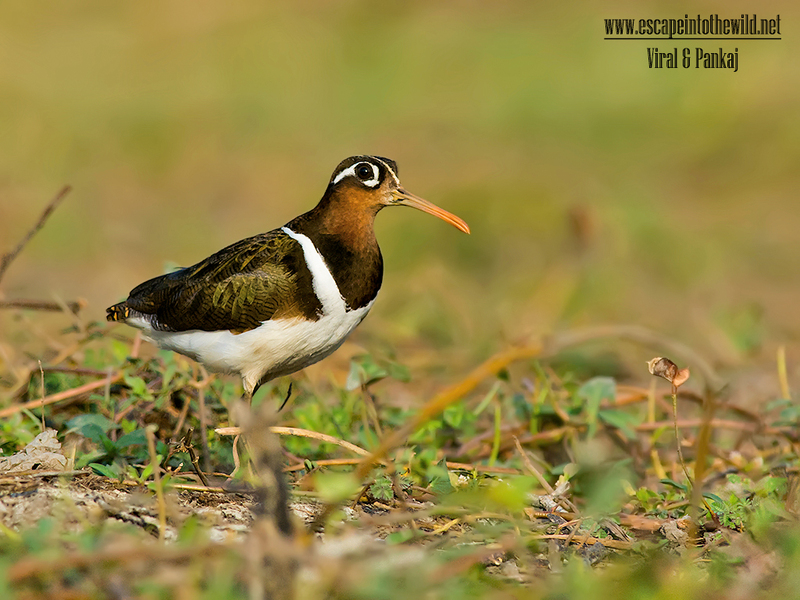 Greater Painted-snipe is one of that where female is more beautiful than male. They are summer visitor to our area. The breeding season is between April and July. We saw them much time in Gujarat during that time. 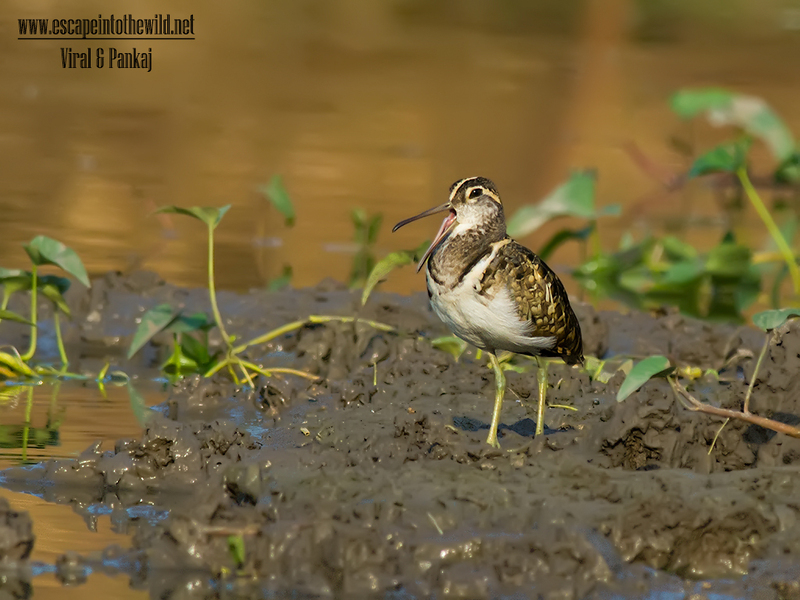 It sometime coincidence or incidence that I visit the Thol bird sanctuary every year same day and find this birds along with few other. Here female is so beautiful so male jaw was just drop down. These are two images but just I thought that. The painted-snipe is not related to the true snipes and differs from them in habits, flight and appearance, being far more colorful and having longer legs than the snipes. It is unusual in that the female is larger and more brightly colored than the male, with the sides of the head, neck and throat a rich chestnut brown and a distinct black band across the breast; the male is paler and greyer. The females court the males, are polyandrous with males incubating and raising the young as predicted by parental investment theory. Immature birds resemble the male but lack the broken dark band across the breast. Males are also known to carry the chicks to safety under the wings.